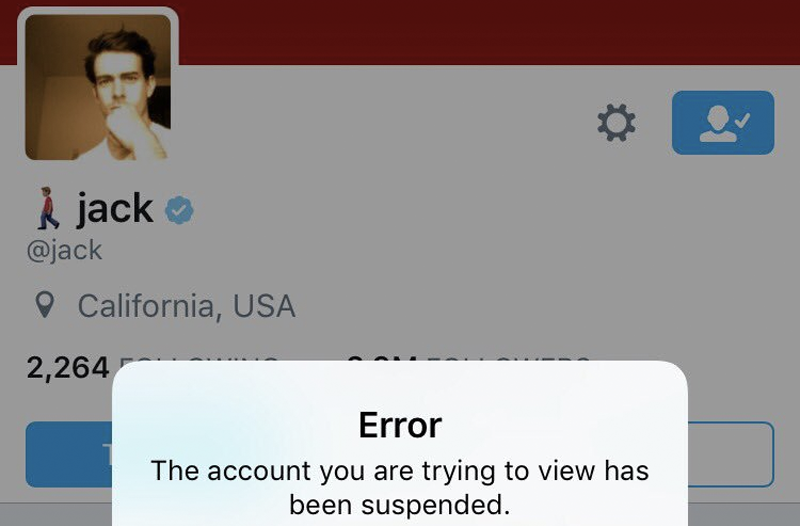 By 9:15 P.M. Eastern time, Dorsey’s account was back online with a reset follower account. Last week, Twitter simultaneously banned a number of figures from the so-called “alt-right,” an action white nationalist Richard Spencer decried as “corporate Stalinism.” On Tuesday, Twitter users associated with movement celebrated Dorsey’s suspension. We have reached out to Twitter for comment. This post will be updated if and when they respond.